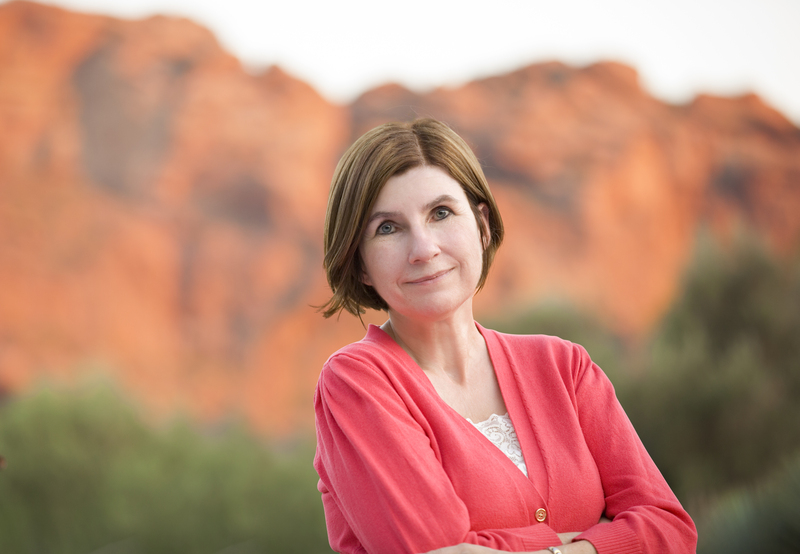 Award-winning author JEANNE LYET GASSMAN lives in Arizona where the desert landscape inspires much of her fiction. She holds an MFA in Writ­ing from Vermont College of Fine Arts and has received fellow­ships from Ragdale and the Arizona Commission on the Arts. Her debut historical novel, BLOOD OF A STONE (Tuscany Press) received a Bronze 2015 Independent Publishers Book Award in the national category of religious fiction. Her work has appeared in Hippocampus Magazine, Hermeneutic Chaos Literary Journal, Red Savina Review, The Museum of Americana, Assisi: An Online Journal of Arts & Letters, Switchback, Literary Mama, and Barrelhouse, among many others. In addition to writing, Jeanne also teaches creative writing workshops for libraries and community groups. Grace, one of the most challenging journeys of life and literature, is explored in this fine debut novel by Jeanne Lyet Gassman. 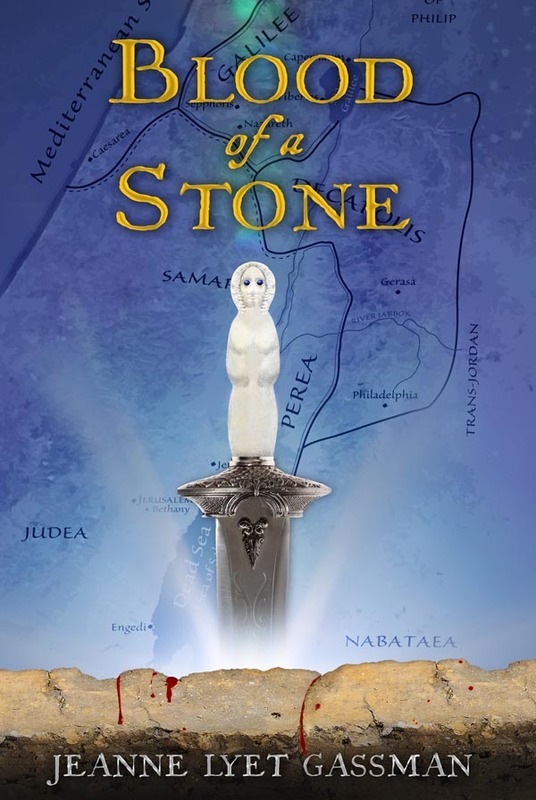 Set in first century Palestine during the time of Jesus, BLOOD OF A STONE is a moving, well-researched, beautifully turned novel that had me engaged and in tears. Highly recommended! Farmers, merchants, townspeople, and peasants crushed together on the narrow road into the city, pushing toward the marketplace. Shepherds whistled at their herds of goats, struggling to keep them away from the booths stacked with winter figs. Herod’s auxiliary troops circled through the mob on horseback and foot, their shouts lost in the uproar. The people dropped back to clear a path for more soldiers who marched in tight formation. Their conical helmets bounced up and down in waves as they jogged along the road. One of the horsemen accompanying them broke rank and rode into a group of spectators that had pressed closer for a better look. He swung his sword and warned them to keep back. There were a few muttered epithets, but no one spoke too loudly. A space opened around the soldier, and the crowd could see why they had been forced off the path. The troops dragged behind them a captured slave: a dark-skinned man with the letter F, for fugitivus, seared into his forehead. His hands and feet were bound, and if it were not for the rope that jerked him upright and pulled him along, he would have fallen face down to the ground. Demetrios brushed his fingers across his own shoulder, feeling the raised, damaged flesh beneath his cloak. If he had not killed Marcus and escaped, his fate could have easily been the same as this poor runaway’s. Someone pitched a stone at the auxiliaries, striking the horse. The animal reared up, and a farmer in front of the soldiers lost control of his cart. The entire procession halted as his crates of doves toppled to the ground. The terrified birds flung themselves against the wooden slats; clouds of feathers spiraled into the air. The farmer tugged at his donkey’s rope, but the creature dug in its heels and refused to move, its hysterical brays adding to the general confusion. The slave, sensing he had a receptive audience, raised his head. The wound on his brow had festered. His skin glowed with fever and madness. He blinked, scanning the blur of faces in front of him, seeking one he knew would understand. Then he paused and focused his gaze on Demetrios, a faint smile playing around his mouth. Demetrios shrank back behind a cluster of men. Of all the Jews, the soldiers, and the travelers in this place, how did he know? How does one slave recognize the other? Although the sun was warm upon Demetrios’s back, he shivered. Some of the men behind Demetrios laughed and jumped to catch the floundering birds; others complained loudly about the delay. A couple of the women near him finally stepped forward to help the beleaguered man drag his remaining crates to the side. The soldiers began to move again, their captive stumbling behind them. The slave cried out, “Please! Help me!” before he disappeared into the wall of armored bodies. Over the bobbing heads, Demetrios strained to see who was calling him. He cut across the road and scooted around the people still pursuing errant doves. “Demetrios of Tiberias!” the voice called out to him with authority. Demetrios wheeled around. They knew. The soldiers were coming for him. He was caught, trapped like a beetle in the clinches of a scorpion’s pinchers. Someone had revealed his secret, knew that he, too, was an escaped slave. Marcus’s slave. Marcus’s murderer. Demetrios tried to escape through the crowd, but the throng closed about him. He had to get away. Escape. Again. As he ducked and darted through the multitude, Demetrios realized he would be running for the rest of his life. He would forever be a slave. He pushed against the backs of a group of men. “Let me through.” But the crowd would not part for him. A hand clutched his arm. He froze. Doomed. He was doomed. And he would be sentenced to die in the mines like his fellow slave. The hand that had seized him spun him around now to face his fate. Angela B. Chrysler: I want to take a moment to welcome Jeanne Lyet Gassman, author of BLOOD OF A STONE (Tuscany Press) available on Amazon, Barnes & Noble, and IndieBound. Believe it or not, the concept for BLOOD OF A STONE was inspired by a dream my husband had. In our house, my husband is renowned for his unusual and interesting dreams, and he likes to share them with me. When he told me he had dreamed about Kirk Douglas filming a movie about a man who plots to assassinate Christ, I stole the idea and ran with it. Since this is historical fiction, I had to do a lot of research for historical accuracy. I poured through a number of scholarly texts, read articles and stories of archaeological finds, spoke to experts, and visited museums. After the book was accepted by Tuscany Press, I worked one-on-one with a brilliant historical expert who had been on several archaeological digs in the Middle East and who spoke five languages. He advised me on all sorts of interesting details, including ancient magic spells, the way certain foods were preserved and prepared, cultural and religious traditions, etc. Without revealing spoilers, I will say simply the most difficult chapter to write was one in which one of my favorite characters died unexpectedly. Several characters die in this book (it’s a harsh world! ), so I’ll leave it to the readers to figure out which character I’m talking about! My favorite chapter is probably the one with the sorceress Endorah. She was so much fun to imagine and create, since she’s a charlatan. The research for this chapter was fascinating as well. ABC: Which of your characters, do you relate to the most (or) who is your favorite character and why? Well, I love all of my characters, but I really like Tabitha because she is so strong and courageous. She grows from a spoiled, impetuous young woman to a generous and wise soul. Yet, she still maintains a certain innocence throughout. There are so many authors I admire that it’s hard to narrow the choices. Certainly, many of the “greats” have had an influence: Dostoevsky, F. Scott Fitzgerald, Ray Bradbury, and Flannery O’Connor are a few that come immediately to mind. Can you tell I like intense, descriptive writing? By the way, I was fortunate enough to meet Ray Bradbury a few times when he was alive. Truly a charming and lovely man. For me, “story” allows us to understand and explore complex issues via a fictional construct. A good story makes sense of the unfathomable, provides insight into the human condition, and asks us to reconsider our own prejudices. My next book is set in the mid-twentieth century and is about a family whose lives are intertwined with the atomic bomb tests in Nevada in the 1950s and 1960s. When the mother, Irene, becomes convinced something in the area is causing her to have repeated miscarriages, she abandons her husband and young son and flees to Arizona during her fifth pregnancy with the hopes of saving her unborn child. Her choices create a rift in the family that could destroy them all. Set against the backdrop of the Cold War, THE DOUBLE SUN is the story of the compromises we make for reconciliation and the grief and guilt that hold us back. Well, I like to joke that I live on the Internet! You can find me on Facebook, Goodreads, Google+, Pinterest, Twitter, and even LinkedIn. I have a website and maintain a blog, Jeanne’s Writing Desk, where I post opportunities for writers. My award-winning debut novel, BLOOD OF A STONE, is available from Amazon, Barnes & Noble, IndieBound, and other selected bookstores. ABC: Thank you again for speaking with me.